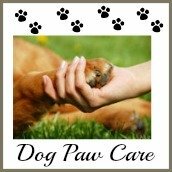 Ear Mites In Dogs? Big Problems - Guaranteed Solution! Ear mites in dogs is probably one of the easiest problems with dogs' ears that you can detect and treat yourself. As long as you know what to look for and how to look for them, you're half way there to getting rid of them for good. And let's face it, when our furry friends are being bothered by something as gross as ear mites, we want them gone super quick. Thank goodness there are three simple tests you can use to diagnose ear mites at home and one fail-proof home remedy that works. But let's start with finding out exactly what ear mites are. Mites or (Otodectes cynotis) are tiny microscopic parasites that live inside your dogs' ears. They feed by piercing your dog's skin and sucking the blood leaving behind waste matter that resembles dark granular debris similar to ground coffee. Doesn't sound pleasant does it? And if that's not enough, they also make your dog's ears very itchy and uncomfortable. In fact, they're extremely itchy so if your dog has ear mites, you'll want to get some treatment and relief fast. The biggest cause of ear mites in dogs in being in close proximity to a cat that has them. Cats are much more likely to host mites than dogs. Ear mites don't usually affect adult dogs either, BUT if you have a puppy, or a dog that lives with a cat or other small pets, then they are susceptible to ear mites. Although ear mites are contagious, thankfully, humans are typically immune to them, so you're not likely to catch them from your dog....or cat. 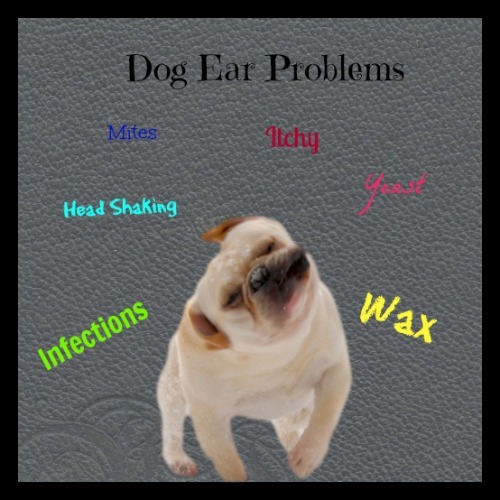 If you have an adult dog with itchy ears check out my page on dog ear problems first to determine the probable cause. Just click on the below image. To check for ear mites yourself, first review the symptoms below and then follow the directions on how to conduct a test. So, What Do You Do If You Suspect Your Dog Has An Ear Mite Infestation? Well, of course you can take your dog to your veterinarian who will take a swab from your dog's ear and examine this under a microscope. If it's mites she will see them clearly here. Although you can't see mites with the naked eye there are a few ways you can test for mites yourself at home. 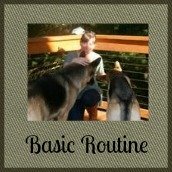 There are three easy methods to test to see if you dog has ear mites; the first two methods will tell you what to look for and how to recognize ear mites in dogs, the third method explains how your dog will most likely react and behave. The best way to check for yourself is to do as the vet does and take a swab from your dog's ear. Many of us don't have a microscope at home but having a good look with a magnifying glass will do just fine. What you're looking for is tiny white specs moving around in the ear debris. As they are small and white, it'll be easier to do this against a black or dark background. If you don't have a magnifying glass but you do have a smart phone, ipad, or tablet, you can download a magnifying app that does the job pretty well. I have the 'Mag. Lite' app on my iphone which was free from the app store and works brilliantly. It's temping to just look directly into your dog's ear with the magnifying glass, but honestly, that's just too difficult (I've tried). It really is best to take a swab and look at that. Another method you can try is to carefully swab your dog's ear and empty the debris onto a clean, white, paper towel. Next wet the paper towel with hydrogen peroxide and smear the ear debris. If you see a brownish/redish stain it's most probably ear mites as you'll be looking at digested blood from the mites. If you want a real simple test, although probably less definitive, you can clean your dog's ears and see if your dog has a positive 'thump test'. What's a thump test? A thump test simply means that the itching is so severe it causes your dog to vigorously thump a hind leg! Although not very scientific, ear mites in dogs almost always causes a positive 'thump test' result. Once you've determined it's ear mites you're dealing with, then there's an age-old home remedy you can try that is proven to be very effective. It's based on using mineral oil to smother and starve the mites. You will first need to clean your dog's ears to get rid of wax and debris so that the mites have nowhere to hide. Once they are clean use an eyedropper to apply a couple of drops to the inside of each ear and massage the base of your dog's ear. 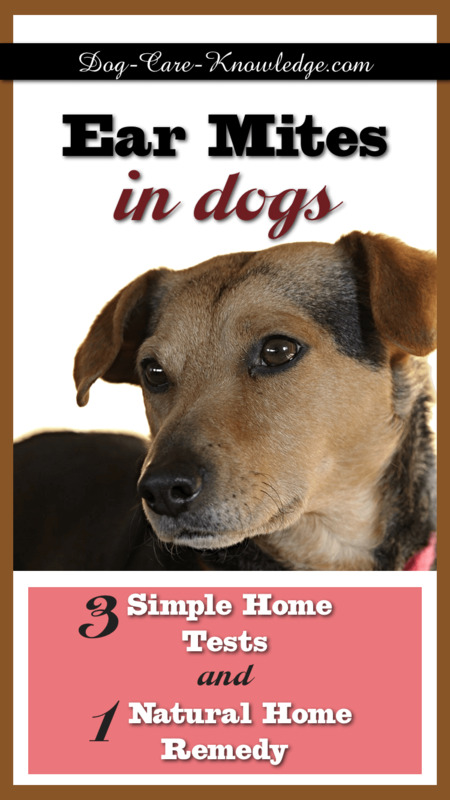 Next, soak a cotton ball in mineral oil and thoroughly wipe the insides of your dog's ear flaps. 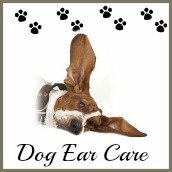 Finally give both your dog's ears a good massage to ensure the mineral oil is well distributed throughout. Repeat with the mineral oil treatment in both ears twice a week for a month. This will be enough to kill off existing mites and prevent new generations from forming. Make sure you only use mineral oil and not any other forms of oils such as olive oil or vegetable oil. Only mineral oil is heavy enough to effectively smoother the mites without feeding them with additional nutrients. Many over the counter ear treatments are made to treat a variety of ear problems so are not as effective to eliminate ear mites. That's because they contain some other form of oil (other than mineral oil) that either feed the mites with nutrients or don't smother them effectively. Remember, using pure mineral oil on it's own is the best effective treatment against ear mites in dogs. Not olive oil, not vegetable oil and not oils mixed with some other nutrient-rich ingredients. Conventional treatment for mites is based on using pesticides prescribed by your veterinarian usually one containing pyrethrins and thiabendazole. As with the previous method, you're going to need to clean your dog's ears first. Once the ears are cleaned you can apply the medication based on your veterinarian's instructions. Usually daily. Treatment will most likely continue for about a month. Although the mites will likely die sooner than that, it's important to continue with the treatment as new crops of mites will hatch and the whole cycle repeats. Finish the entire course your veterinarian has prescribed even if you don't see any evidence of mites after a week or two. If you have other dogs or pets in the house they should also be checked and treated as mites are very contagious to animals. Luckily, not to humans. Although ear mites are not an infection, the constant scratching can lead to a secondary ear infection or, if your dog is shaking his head a lot, it can lead to an ear hematoma. 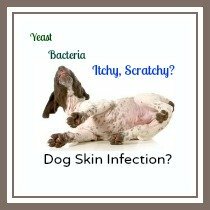 The best way to avoid this is to start treatment as soon as possible to get relief for your dog's itching. Sometimes during treatment, especially with the conventional method, the mites can temporarily relocate to other areas on your dog's skin. You'll know this if you see your dog scratching other areas obsessively. If this happens, you should continue with the ear treatment of your choice but additionally bathe your dog weekly using a pyrethrin-based shampoo. If you're not happy using pesticides on your dog, a good alternative is Nature's Specialties range of pesticide-free shampoos such as Quick Relief Neem. Ear mites in dogs are fairly easy to diagnose and treat if you know what to look for. By getting a fast diagnosis and treatment you can relieve your dog's discomfort and and avoid any secondary complications such as infections or hematomas.